Melton College has always been a family school. It was founded in 1962 by Finn and Elizabeth Hjort. Since then it has evolved into one of the most respected language schools in the UK. Andrew has overall responsibility for all aspects of Melton College. He is especially involved in marketing and promotion and represents the College at promotional events. Andrew is also actively involved in EnglishUK and EnglishUK North. Andrew has been Principal since January 2003, having worked at Melton College since 1986, becoming Director of Studies in 1993. He studied Philosophy and Linguistics at University College, Bangor (Wales), where he did research on the use of essays in placement tests. He also studied teaching English as a second or foreign language, during which time he worked in Birmingham and Valencia (Spain). Andrew was a member of ARELS General Council for four years, chaired the ARELS Sub-Committee on Criteria and was the ARELS representative on the Accreditation Scheme Review Committee. He is now Chair of the English UK Accreditation and Professional Services Board and is also the co-ordinator of the English UK North Academic Conference. Andrew’s other interests are mountaineering, skiing, climbing and classical music. 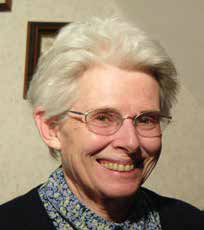 Elizabeth founded Melton College, with her husband, Finn Hjort, in 1963. She is still involved with our 50+ programmes and is a useful source of advice! Elizabeth Hiley was born in Leeds. She studied French and English Literature at Trinity College, Dublin. After university, Elizabeth taught English language and literature in Normanton before founding Melton College with her husband in 1962. Elizabeth is a former Chairman of ARELS. She is also a former Chairman of FELCO, and of the ARELS Welfare Committee. She was a magistrate in York for 30 years and is a former Chairman of the York Bench. In her spare time she is a keen walker and gardener. Elizabeth is also a trained volunteer guide at York Minster. 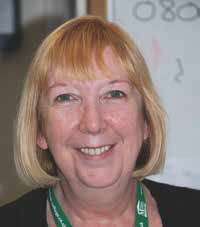 Margaret is Andrew’s deputy and manages all departments within the College. She is especially responsible developing our group courses, as well as teaching staff selection, timetabling, and is the person to speak to if you have any questions about your studies. Denise is responsible for accommodation, including the selection and induction of homestay hosts, transfer arrangements for individuals and groups. Denise was born and educated in Northumberland. She lived in Botswana from 1980, and previously, Zambia for five years. Whilst in Botswana she helped established a Ballet School and ran a Cub Scout Pack. Denise gained her BA (Hons) degree in English at Witwatersrand University, Johannesburg. She has a great love of classical music and ballet and has an eclectic taste in reading. Tim is in charge of all our courses. He is responsible for course design, timetabling, staff selection and inductions. Tim was born in Leicestershire and went to university in Yorkshire gaining a BA (Hons) in Historical and Political Studies. After teaching in Turkey for two years he went on to teach and manage in a school in Trieste, Italy. In his free time he enjoys reading, writing, travelling, playing rugby and studying history. Jane is one of our Senior Teachers. She has a special responsibility for material selection and development and the integration of activities with classroom lessons. Jane has spent the last 20 years teaching English. She’s taught in France, UK and Qatar and during her career she’s specialised in teaching English for professional purposes. She has a first class degree in French and has dabbled in Spanish, Italian, German and Arabic. She enjoys spending her free time with her daughter and loves watching films when she can. One of her dreams is to achieve black belt in Wing Chun. Joanne studied English Language and Linguistics at Roehampton University, and an MA in Applied Linguistics and TESOL through distance learning at the University of Portsmouth. After her initial degree, she worked as a basic skills tutor teaching literacy to adult students in York. This led her to her first EFL teaching position in Iwate, Japan. After staying in Japan for three years, she taught English in Spain, Italy and various locations throughout the UK. Nikki is responsible for the designing the College’s social programme. She is also one of our Senior teachers and is responsible for material selection and integration of activities with classroom lessons. Nikki began teaching English in 2004 and have taught in Vietnam, Cambodia, Thailand and the UK to a wide range of students. She enjoys being involved in all aspects of language learning including being a Cambridge Speaking Examiner for FCE – CPE exams and presenting at conferences. David is one of our teachers. He is also responsible for our Social Media. David, our Social Media Manager, is originally from Bristol and has been teaching English since 2009. The majority of his teaching career has been in China but he has also taught in Indonesia, New, Zealand and Spain. Daniel is one of our teachers. 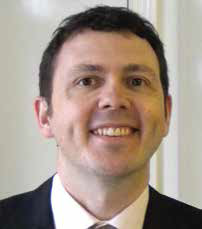 He is also responsible for providing assistance and advice to staff and students using Melton E-Learning. Daniel grew up in Yorkshire. After obtaining his BSc (Hons) degree in Geography at the University of Derby, he went travelling around South East Asia. He travelled extensively around Northern Sumatra and Vietnam where he picked up a functional use of both languages. Daniel taught in China and at a university in Vietnam for over 5 years. On his return to the UK he acquired his CELTA. In his free time, Daniel enjoys walking and bouldering in the local National Park. 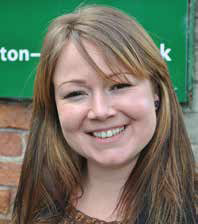 Katie is responsible for managing the various exams run by Melton College. She also runs exams for Melton College at various other venues. Katie has always lived in York, and likes to explore the city in her free time. Katie has travelled extensively throughout South-East Asia, finding Vietnam to be her favourite country because of its beautiful scenery, diverse culture and friendly people. Katie is interested in cinema, comedy, current affairs and music, and likes to socialise with her friends. When she has the time, Katie enjoys charity fundraising and has recently done a parachute jump for Cancer Research UK in the Lake District. Sara is the College's designated Welfare Officer, she is the first person students should come to if they have a problem. She is also responsible for handling student bookings and works alongside Katie in the day-to-day administration duties associated with exams at Melton College. Sara has lived in York all her life. She trained and worked as a Youth Worker, a Young Person’s Development Worker and dance instructor for 10 years before studying Education and then Social Science at York St John. 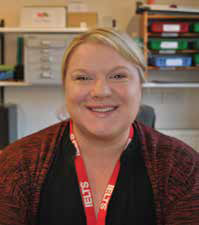 Sara went on to work in primary and secondary education before joining the IELTS team as an invigilator in 2014. Since then Sara has worked within the College’s Exam Centre alongside Katie and now as the College Administrator and Welfare Officer. Maddie is the first point of contact for students at the College. She handles student enquiries and enrolments, is responsible for coordinating transfers for groups and individuals and administrates the College's social programme. Maddie comes from Romania and has moved to York in 2014 to study a degree in French and German. She graduated in 2018 and has worked in the legal field before joining the team at Melton College. Maddie can speak 7 languages: French, German, Italian, Spanish, Russian, and of course, English and Romanian. In her spare time she enjoys cooking, learning more languages and travelling. Amy is the first point of contact for many Partners and Students. She also assist Andrew and Margaret with a variety of projects within the College. Amy was originally from York, but has spent the past few years studying for a degree in Biology, and a Masters in Conservation, at the University of Liverpool. After her degree, she returned to York as one of the organisers of York Food Festival. During her free time, she volunteers in the local community as a Brownie Leader.